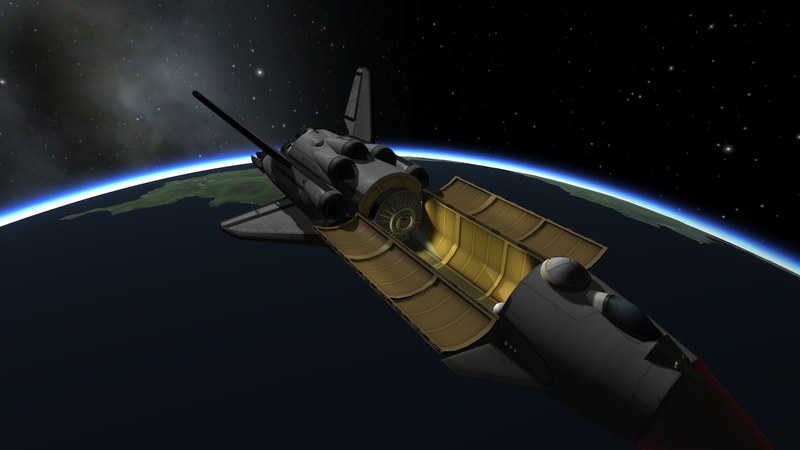 Can carry 18 tonnes to low Kerbin Orbit, but works better with lighter payloads. Be sure to strut your payload into the bay! Climb to ~8.5km, you should try maintain an airspeed around 200 m/s. At altitude, level out and accelerate. Continue a gentle climb. 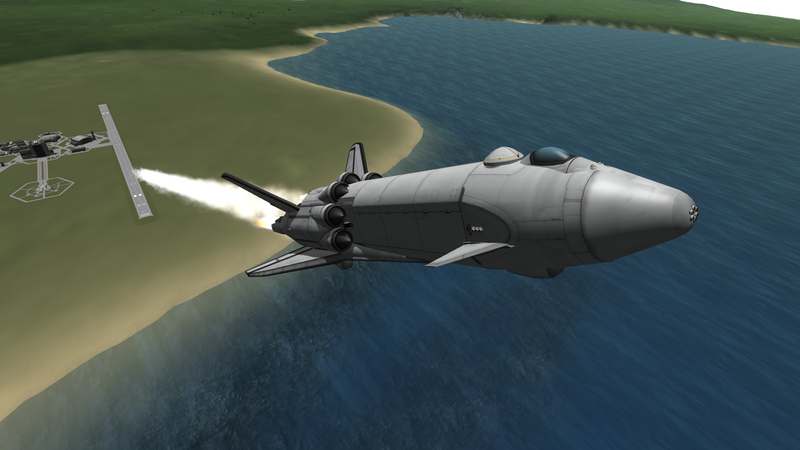 1,300 m/s should be easily attainable on air-breathing mode, around 20km. Once airspeed begins to drop, press 2 to change RAPIER mode (your middle RAPIER will change automatically, don’t worry about it). Close intakes with 3 and turn off Whiplashes with 1, bring your nose up to 45 degrees and burn full throttle until you reach 30km. Finish the climb under 75% power pointing prograde until your apoapsis reaches space. Transfer all your fuel to the center tank before re-entry, or you will die. A stock aircraft called Compensator. Built with 150 of the finest parts, its root part is adapterMk3-Size2.